Elisabeth Ackermann, the President of Basel-Stadt, awarded Centrepoint the Prix schappo on 31st May 2017. For the first time, the schappo Commission has decided in favour of an English-speaking meeting place for people of all nations. More than 130 dedicated volunteers manage the wide-ranging and versatile programs to make Centrepoint a supportive and welcoming environment for people from all over the world, including Swiss. We are proud to contribute to the overall integration of newcomers, long-term residents and local people and to the already rich Basel cultural life. By winning the 38th Prix schappo, Centrepoint feels an even stronger part of Basel, and is further established as a Basel community organisation and part of community life. Representing the City, the President of Basel-Stadt "takes her hat off" to all Centrepoint volunteers, thanks us and celebrates us. Let us be genuinely proud! 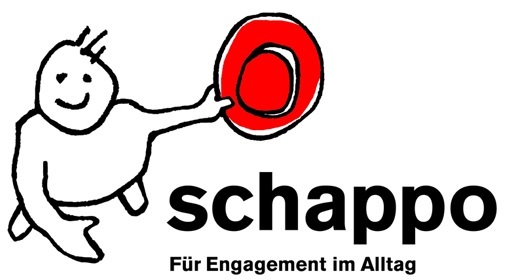 Click on the relevant links to view the schappo poster, the flyer in English and the flyer in German (Adobe Acrobat required). To learn more about the Prix schappo, click here to visit the Basel-Stadt schappo website (in German). Centrepoint celebrated this achievement by inviting anyone interested to Open Houses on 2nd and 9th June 2017.